This Saturday is our local outing for the month. 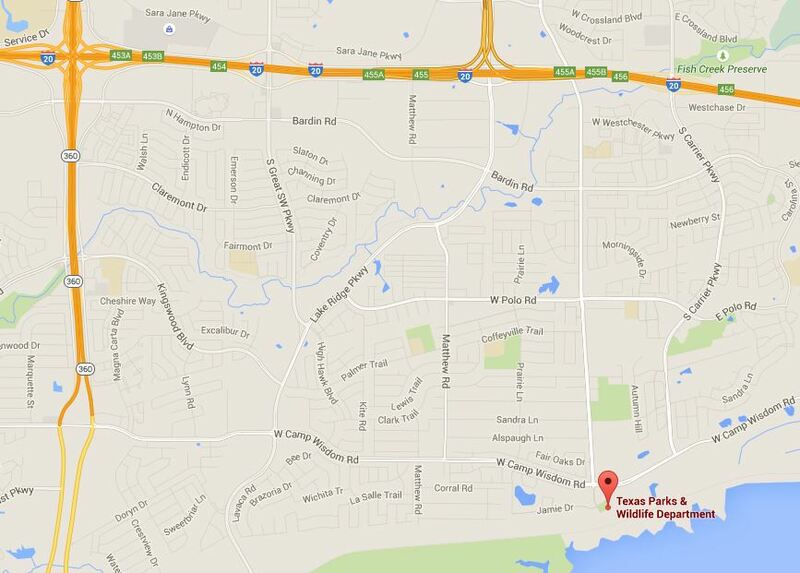 We will meet at the TPWD North Texas Education Center at 5411 S. Robinson Road in Grand Prairie. It is also an opportunity for people that are interested in learning the basics of the sport to come out and give it a try. We will gather at the center initially but some folks may move to below Joe Pool Lake dam to test skills on moving water. So look for us at both places. This outing will focus on educating members and friends on fly fishing essentials. Casting instruction, knot tying, basic moving water techniques and more. We will cook up some hamburgers with fixings and serve that lunch about 1:00 so we need to get an approximate head count. Please let Bryce Bezant know you are coming so he can buy enough food to serve the crowd. You can email him at rbbezant@gmail.com or drop him a text or call him at 817-360-6672. You may also contact Les Jackson at les@wsapromos.com, 817-253-0943 for more details. Thanks to Les Jackson for putting this outing together. For more information about what to bring, click HERE.